Besides from the jet-lag, that has me falling a sleep before 9pm and up before 4am, I'm having a wonderful launch back here in London. Monday, my lovely friend Cecilie came to visit me here in London for some days. We had a trip to ever so charming Notting Hill, strolling down Portobello Road, visiting the Hummingbird bakery and catching a nice lunch in one of the many charming cafés there. I kept warm in my ST coat (link above) with the faux fur collar detached - and although I know winter is warmer all over the northern hemisphere, coming from Oz just this Sunday, the cold really stings.. Tomorrow my boyfriend is flying in from Denmark after us being a month apart. It's going to be so good to see him again! 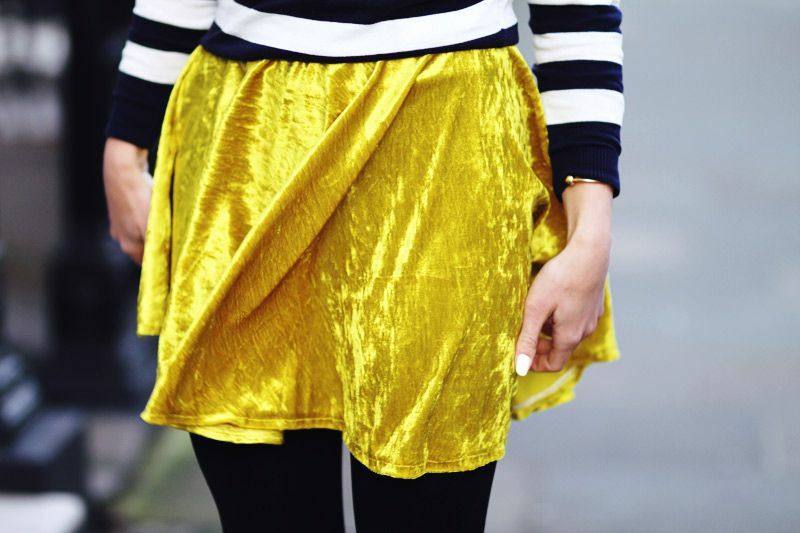 I absolutely love your skirt! The pop of color is just lovely, especially in the midst of winter. Love this classy look! Love the skirt! You look comfortable yet chic. 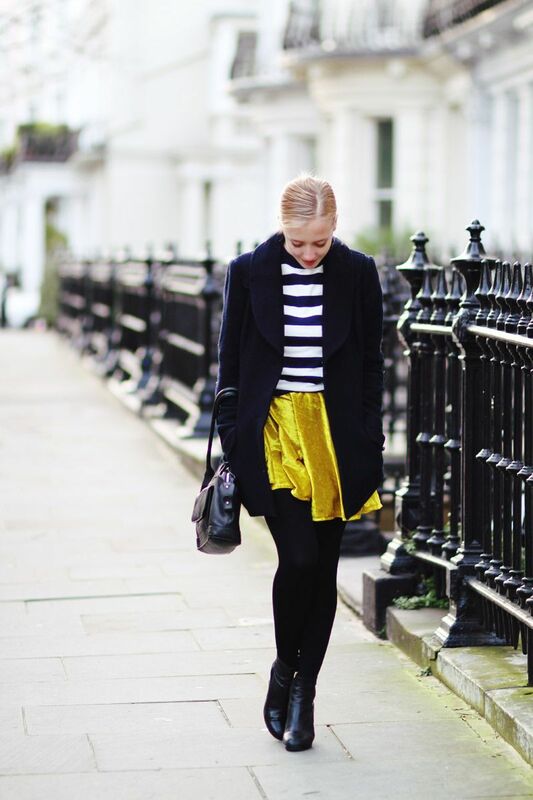 Love the mix of striped with your self-made skirt! You're always showing so much joy on your pictures! Det sidste billede, så flot!!! The skirt is amazing! Can't help but be drawn to the colour! Du er faaaanme fin, når du smiler - mere af det! I love the new sidebar design! You look great btw! I love the skirt!! that's so cute, hope you have a nice reunion! beautiful! beautiful! stunning skirt, new follower! Lovely outfit!!! You look awesome! Amazing outfit! In love with this whole look.